Every dead body in Butte is someone's kin. Detective Jeremy Lawrence has investigated so many wrongdoings, but he still never imagined how it'd feel to be standing over his own brother. Until now. Thankfully, he has the help of Deputy Blake West, a woman he's known his entire life-and wanted for as long as he can remember. 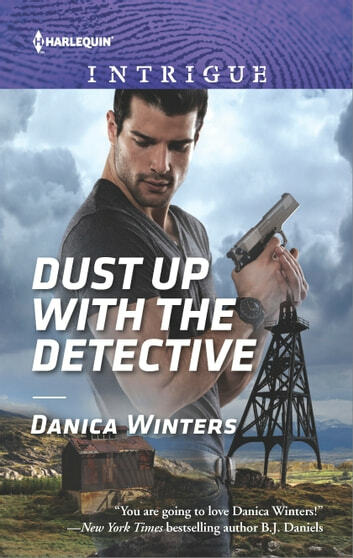 It is with great delight, as part of Danica Winters' Street Team, that I bring you my review of Dust Up With the Detective. This is a fast passed, quick read, that will leave you guessing. Deputy Blake West has been in love with her next door neighbor Detective Jeremy Lawrence since she was a teen. As the search for his brother's killer grows even more personal, so does the relationship between the two. Will they be able to find the killer before the stakes become too high? As always Danica Winters' writing is wonderful and full of the kind of story that will draw you in. If you've never read her work, this is a great place to jump in. If you are a long time fan, you will not be disappointed.